AstroVed will be performing grand finale ceremonies for the 10th avatar of Vishnu along with a grand conclusion ceremony invoking all the 10 avatars of Vishnu in a single powerful homa. 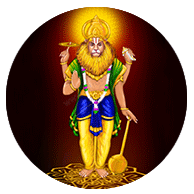 Along with this homa, we have also arranged for 10 special Archanas (Light and Sound Ceremony) at 10 special Powerspots for Vishnu. 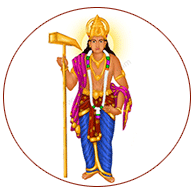 Vedic priests recommend propitiating all 10 forms of Vishnu as a remedy for life’s challenges and to receive the life-sustaining blessings of the Lord of Wealth for overall power, prosperity, abundance and well-being. 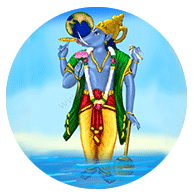 The Bhagavata Purana, considered the 5th Veda explains that Lord Vishnu has taken 10 Avatars (divine incarnations) to help human beings to overcome all problems and obtain blessings for a successful and prosperous life. 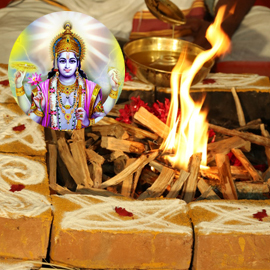 Join AstroVed’s Grand Dashavatar conclusion homa and invoke the blessings of 10 Avatars of Vishnu for overall power, prosperity, abundance and well-being this year. 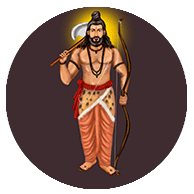 You will receive the energized products and sacred grey ash powder from the homa and kum-kum (Red Vermillion Powder), which will be blessed in the rituals. Keep this on your meditation altar and wear it on your forehead during meditation or at other times to expand the Divine blessings into your life. Please Note: : Your product and prasad will be shipped one week after the entire set of rituals is performed from Chennai, Tamil Nadu. For international shipping, please allow 2 – 4 weeks for delivery. 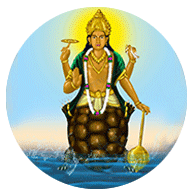 Kalki is the last avatar of Lord Vishnu. 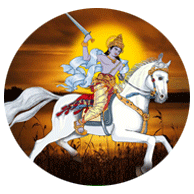 Puranas reveal that Kalki, the last Avatar of Lord Vishnu will descend on a white horse at the end of Kali Yuga to reestablish dharma. 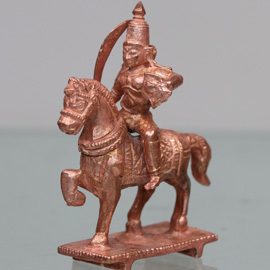 Worshipping Kalki avatar can bring swift justice and the ability to win over enemies. Your sincere prayers to him can bless you with fulfilling career and business and live a life of abundance. 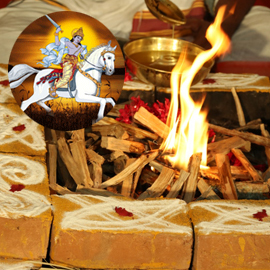 You will receive the energized product and sacred grey ash powder from the homa and kum-kum (Red Vermillion Powder), which will be blessed in the rituals. Keep this on your meditation altar and wear it on your forehead during meditation or at other times to expand the Divine blessings into your life. 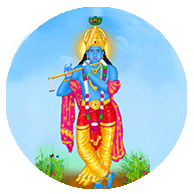 Vedic priests recommend propitiating all 10 forms of Vishnu as a remedy for life’s challenges and to receive the life-sustaining blessings of the Lord of Wealth for overall power, prosperity, abundance and well-being. 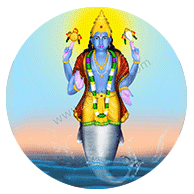 Performing all the 10 homas individually on the behalf of you and your family can invoke special prosperity and incredible wealth blessings of Vishnu, the Lord of Wealth. You will receive the product and the sacred grey ash powder from the homa and kum-kum (Red Vermillion Powder), which will be blessed in the rituals. Keep this on your meditation altar and wear it on your forehead during meditation or at other times to expand the Divine blessings into your life. Please Note: : Your prasad will be shipped one week after the entire set of rituals is performed from Chennai, Tamil Nadu. For international shipping, please allow 2 – 4 weeks for delivery. 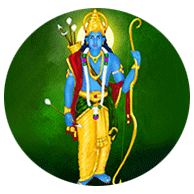 You can prefer to perform the individual Homas on Ekadashi (11th Moon phase) and days with Shravana star, the auspicious days of Lord Vishnu to invoke the blessings of the ten incarnations of the Supreme Protector of the universe. 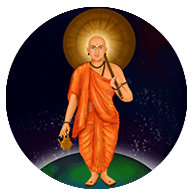 Please Note: :The shipment of the energized product and rasad starts from Chennai, Tamil Nadu a week after the entire set of rituals is performed. For international shipping, please allow 2 – 4 weeks for delivery.